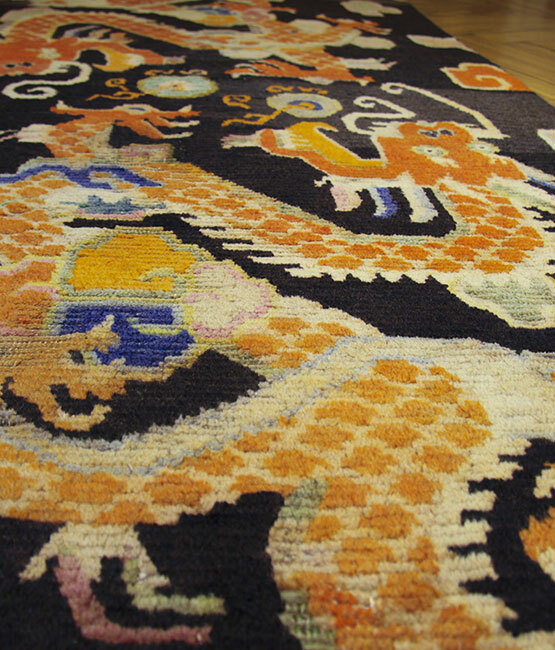 We’ve been gaining experience for thirty years now in the selected import field of Oriental rugs. This hard work of research and documentation has allowed us, over the time, to perfect all those useful skills to advise our customers in the difficult choice of a quality rug. Oriental rug is an artwork and as such it should be bought knowing each detail and history first. Even in a modern house a beautiful old carpet plays as a protagonist: rich in history, evocative, but especially hot; it defines the space and personalizes the entire decor of an environment. A truly important addition, even because it is a “forever” purchase, becomes one of the fixed points of our lives, which accompanies us from one house to another, from one generation to another. The art of the rug, as it is a true artistic expression, has developed mainly in the East, where it is the fulcrum of the house or, for nomadic populations, the house itself, where it was eaten, slept. At the same time, the carpet performed a less domestic and more sacred function, that is, prayer.